The seal of Columbia University has the YKVK (G-d's 4 letter name) on the floor of the library. People walk on the seal. Is this chilul Hashem or is there some other halachic problem with this? Does this problem apply to non-Jews as well as Jews? 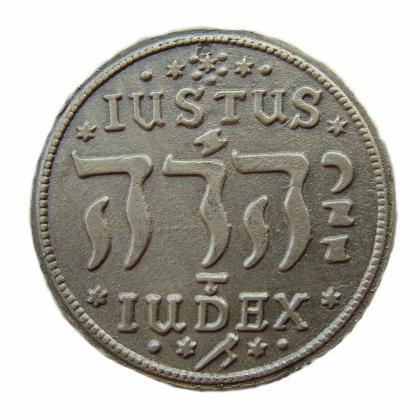 The Chavos Yair Siman 16 at the end of the tshuva writes that the coins from Sweden which had the Shem HaShem on it are not considered kodesh since it was made for mundane purposes and the *Mishna Brurah 334:52 quotes this opinion concerning melting down the coin(erasing the name). It seems that the name on the seal has no kedusha just the fact its on the floor it was made for mundane purposes just like a coin(even less than a coin,since coins are minted sometimes for special occasions). I got this idea from the amazing Sefer Minchas Asher chelek 2 siman 55 which quotes these opinions,the case he discusses is a case where they found the Shem in a childrens school bathroom . If one has the sefer he goes more in depth in to this topic and its applications. This is not for psak ,just my extrapolation which I think makes sense,but I am not a posek. My father, who works at Columbia received a psak that the University branded calendars and such require geniza because of the logo on the cover. Presumably this would imply it is forbidden to walk on the Name on the library floor. PS I've now identified myself to anyone who knows me already. Not the answer you're looking for? Browse other questions tagged halacha shemos-sacred-names chilul-kidush-hashem college-university-school .